Allergic Reaction Injury Claims Guide – How Much Compensation Can I Claim? – How To Claim? Being allergic to any substance means you have to take care with what you do, eat or where you go sometimes. Dealing with allergies is something people have to do on a daily basis, and for the most part, they usually manage to control their exposure to those things they’re allergic to well once they are aware that they indeed have an allergy. However, if someone is responsible for an allergic reaction to a person, then it can have serious, even fatal consequences. If it could have been avoided, and the person/s that caused that reaction had a duty of care for the person with the allergy, then it is only right that you should have some sort of recourse with an allergic reaction compensation claim. Allergic reaction claims make it possible for you to not only be compensated for allergic reactions to food and laser hair removal allergic reaction, but also you can seek allergic reaction compensation claims for hair dye allergy if a patch test was not completed, or seek allergic reaction workers compensation for allergic reactions at work if they could have been prevented by your employer. The guide below answers the most frequently asked questions about allergic reaction compensation, along with an overview of the possible allergic reaction compensation amount, what compensation for allergic reaction can include, and how to lodge an allergic reaction lawsuit with a personal injury lawyer that works on no win no fee. You can call Advice.co.uk on our helpline – 0161 696 9685 – at any time to gain clarification on any part of this guide, but many questions are answered in the sections below, so it is well worth reading first. How Much Can I Claim For An Allergic Reaction? What Do Compensation Payments For An Allergic Reaction Include? What Steps Should Be Taken To Avoid Allergic Reactions? I Need To Claim Allergic Reaction Compensation, How Long Do I Have? According to the published statistics from Allergy UK, over a fifth of the country’s population suffers from at least one kind of allergy disorder. In addition to this, in the 20 years leading up to 2012, there was a staggering 615 percent increase to the number of admissions to hospital for anaphylaxis, which can be fatal in some cases. With these huge numbers, it’s no wonder we are more aware than ever before of what we expose ourselves to if we have an allergy. However, if someone else does not take the same care, and we are unknowingly exposed to a serious allergen, the consequences can be terrible. Even the most trivial allergic reaction isn’t pleasant, but the consequences of some can be fatal. Whether your employer has exposed you to chemicals that have caused a reaction because of poor procedures, lack of training or other forms of negligence, or a restaurant has served you food with allergens when you informed them of your allergens, or you’ve eaten food pre-packaged with no mention of your allergens on the packaging, you could put forward an allergic reaction compensation claim with a personal injury solicitor, and this guide is written to show you how to do just that. Allergic reaction claims are becoming more common, as we seek to not only be recompensed for financial costs of our treatments and other expenses as well as suffering and any pain, but also to highlight the issue and stop it happening to another allergy sufferer. Here, we answer questions about allergens, allergic reactions, personal injury claims time limit, and why a personal injury claims calculator can’t offer an accurate guide of what you’d likely receive in allergic reaction compensation. Allergic reaction compensation claims aren’t simple. There are varying degrees of reaction and the way compensation is calculated requires much thought. Although, as we said, allergic reaction compensation calculators are rarely even semi-accurate, we can offer you a look at the guidelines that certain reactions fit into. Don’t forget, there will be other costs added into this, so your figure is unlikely to be exactly what is on the table below, but it does offer somewhat of a view. Although it usually comes in one payment, the compensation you receive is actually made up of more than one type of compensation. Here, we explain the different types you are likely to receive. If you can’t dress or feed yourself, or you haven’t been able to take care of children that you have, then care costs will be involved. This can be paid out as compensation, usually direct to the person that performed the care services. Whether you’ve required counselling paid for privately, or you’ve needed to pay for a prescription, then this is counted as a medical cost. Transportation costs arising directly from the incident can form part of an allergic reaction compensation claim. When you’re off sick from work, you might not get the same level of pay. You should be recompensed for this. The actual injury (per the table above) will be assessed, and the amount of suffering you’ve had to bear. A payment will be paid for this under general damages. When a person is exposed to an allergen they are allergic to, then the body emits an immune response. It tries to attack what it sees as a harmful substance and the effects of this attack are because of what the body is doing to try and fight off the harmful substance. Some allergic reactions can be minor, such as sneezing or itching, whereas some can be more serious and cause breathing issues, which can prove fatal if the right treatment is not sought. Child allergies are more common than those that appear in adulthood and some children can grow out of an allergy. However, some stay with a person for the rest of their lives. Obviously, the best form of prevention has to be to try and avoid the allergen. However, this is not always possible. When eating out, you should inform a restaurant or eaterie that you have allergies, and they should take steps to prevent your food from being contaminated. In addition, food manufacturers and those packaging the products have a legal responsibility to provide accurate details on prepackaged foods of their allergens. If a person aware of their triggers goes ahead and eats something clearly labelled with their allergen, then you would not be able to claim allergic reaction compensation, but if the allergen wasn’t marked on the packaging, then you could look at launching allergic reaction compensation claims. Similarly, if it comes to hair dye or beauty product allergies, you should inform the person providing your treatments of your allergies, and they have a responsibility to avoid using those products on you. This is why a patch test should be completed before you get your hair dyed for example. As long as you have taken steps to avoid your allergens, if a responsible party has not and you suffer a reaction, you should consider making an allergic reaction compensation claim. If you can prove this, either with photographs, witness statements, documentation, proof of packaging of food, or a combination of these, then you might have all you need – with a lawyer – to launch your allergic reaction claim. One of the most common across the board appears to be nut allergies, and these are more often seen in the media as there are some high-profile cases that have made the news. There are of course common allergies which people can suffer from that don’t come from food. Allergies from medicines can cause awful symptoms, from heart palpitations to rashes, to vomiting, and even more serious cases can lead to deaths. Chemical allergies to shampoos etc can also exist, as can insect allergies, hay fever and mould allergies. Less common types of allergic reaction can be to hair dyes, latex, lupin allergy and even sulphur dioxide allergy. The symptoms of nut allergies can be similar to medicine allergies or those that come from chemicals or other foods, as it is the bodies reaction to what it sees as a harmful substance and not the particular substance that dictates the reaction. What are the 4 types of allergic reactions? There are 4 different types that reactions are classified into – medically. Type 1. These are immediate and they tend to release a chemical known as histamine into the body. Examples of the reaction are rhinoconjunctivitis (eye-watering) and at the other end, anaphylaxis. Type 3. These are allergies that affect the blood and an example would be serum sickness. Type 4. Delayed reactions, not provided by T-cells but by antibodies. Contact dermatitis can be included here. Skin that is dry, cracks, or is red. In terms of how long does an allergic reaction last, it really depends on how much of the allergen the person has been exposed to and how urgently treatment is taken. 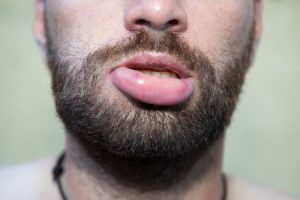 In some cases, how to treat an allergic rash might involve taking an antihistamine tablet, but in others the answer to the question what’s the fastest way to get rid of a rash would be to use a topical cream. Allergic reaction compensation claims payouts are often higher for this type of reaction than less serious reactions, simply because of that chance of fatality. We can offer a wealth of advice on all types of allergic reaction compensation claim. While we deal with some of the more common allergic reaction compensation claims below, we can deal with any claim you might have for an allergy, if someone else was responsible for the incident, so if yours doesn’t appear here, do get in touch. A common UK allergy, nut allergies can result in symptoms that often end in hospital, with some sadly ending in the fatality of the victim. It is vital that those with allergies to nuts be careful with their exposure risks for this reason. Compensation claims for nut allergies are often against pre-packaged food producers that have not listed nuts as an allergen, or towards restaurants that were informed of the allergy but failed to offer food that was not contaminated with nuts. Whether in first time or long-time users, hair dye poses risks to those using them. This is why patch tests must always be done before any chemical treatment in a salon is completed with dye. They should also be repeated if ingredients or chosen products change. One particular chemical used in hair dye is PPD, which could cause allergic reactions, and if used improperly could lead to allergic reaction compensation claims. There are other potential allergens in hair dye and beauty products that may also cause reactions so it’s important to exercise as much care as possible with using them. If your beautician or hairdresser were not careful and did not take all relevant precautions to protect you, then they may be held liable. A specific beauty treatment risk, laser hair removal allergies can happen to anyone and they can be very uncomfortable to bear. Swelling, bruising or scarring could occur as a result of laser hair removal allergies, and these can have a knock-on effect on your confidence and mood; which can also be taken into account in an allergic reaction compensation claim. You may be under the misapprehension that you can’t claim for an allergy at work, but if your employer knows about your allergy and the risks to you and does not take reasonable steps to prevent exposure, then it may be that you’d have a claim. Under the Equality Act of 2010, it has been an argument in the past that allergy sufferers can be classed in some cases as disabled, and should be treated as so. This is why it’s wise to have a good lawyer on your side if you’re considering a claim. 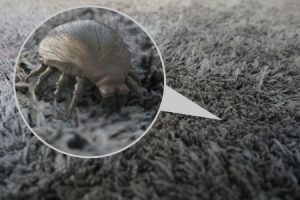 Dust mites can be exacerbated by mould, so if a landlord is aware of a mould problem, and they fail to correct it, and dust mite allergic reaction occur, it may be possible for you to launch allergic reaction compensation claims. This can be somewhat complex, so make sure you have good legal representation on your side to help you. Work accident claims 3 years from the incident – please check if there are exceptions to your case by calling us. Industrial disease/s 3 years from the diagnosis or knowledge of your reaction being related to the industry - please check if there are exceptions to your case by calling us. Accident/s involving criminal behaviour 2 years from the incident – please check if there are exceptions to your case by calling us. Traffic accident/s 3 years from the incident – please check if there are exceptions to your case by calling us. Slip/trip/fall 3 years from the incident – please check if there are exceptions to your case by calling us. Seek medical attention. We’re pretty sure you’d have done this already, but it is very important to your case that you do so – if you can’t prove a reaction, who is to say you have had one? Write down what’s happened – This will help as time goes on, as you can refer to this if you’re asked any questions and can’t remember quite what happened. Gather evidence – Whether proof of financial implications from the incident, to costs of medical treatments, to witness detail or packaging from food and receipts etc – the more the better. Call Advice.co.uk for advice on what to do next. This is an excellent way to start an allergic reaction compensation claim. All you are required to do is discuss with your lawyer the percentage of compensation they will require from the eventual settlement. Once an agreement has been signed, your lawyer will begin the case. Once a successful claim has been settled, you’ll receive the bulk of the compensation, with the lawyer’s fee taken from the settlement at the percentage agreed. What happens if I don’t win? You might be worried about this but needn’t be. If you don’t get a settlement, then the percentage is going to be £0, so there will be nothing for you to pay. 0161 696 9685 is the number to call to reach the Advice.co.uk team. We can quickly and simply take some details, offer advice and help to begin your claim. We offer free advice to all who call, and we’re ready and willing to speak to you now to help clarify your position and get you some help with an allergic reaction compensation claim. Why wait? Allergy UK – A charity for allergy sufferers. NHS allergy Advice – Get some help for your allergic reaction here. Food Safety – This is important advice on food safety.